The club is also joining in the climate campaign by wearing shirts the same blue colour of The Wave Climate Change Campaign for the day. So thats a Liverpool supporters team wearing BLUE for climate change!! It’s a top of the table clash and promises to be an exciting day out. For non UNISON members the prices are still cheap (£5 adults, £3 seniors, £2 under 18s) and Saturday has the added spice that it’s a top of the table clash. 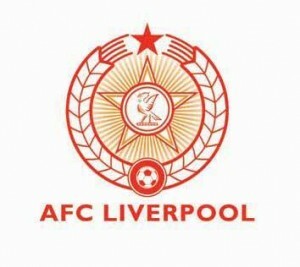 So if you can’t get to the climate march and want to mix the climate campaign with a workers-run football team, come to AFC Liverpool at 3pm on Saturday.